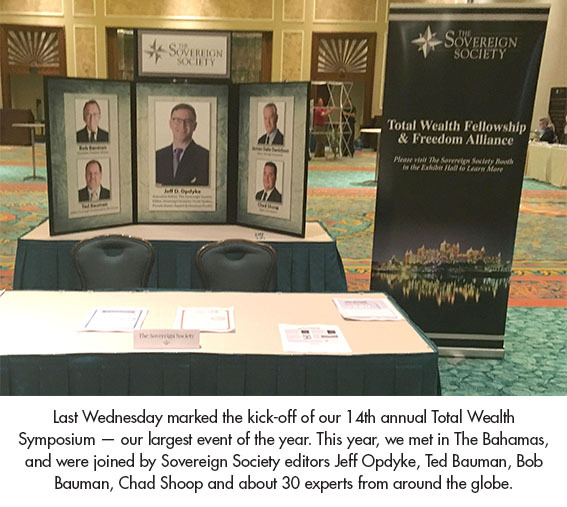 Around 2000, we had our first Total Wealth Symposium, way before the Great Recession, when the country was a drastically different place. Perhaps not filled with rainbows and roses, but different. Back then, labor force participation had peaked at 67.3% before starting its ugly descent into what is now the lowest rate in 38 years. Middle-class families were making significantly more money — now real household incomes are down double digits from 2000. And, according to a Pew Charitable Trusts’ study earlier this year, the middle class has been shrinking in all 50 states since 2000. And let’s not forget that the national debt has ballooned to more than $18 trillion from about $5.6 trillion back then. More recently, the past two employment reports have been the worst pair in three years, and on Wednesday the Producer Price Index posted the biggest decline in eight months. Then the Empire State and the Philly Fed reports came out on Thursday with disappointing numbers that underscored a weak manufacturing sector. This is what we call a sterling economic recovery? This is an environment the Fed wants to raise rates in?Sorry, Uncle Sam, not even close. 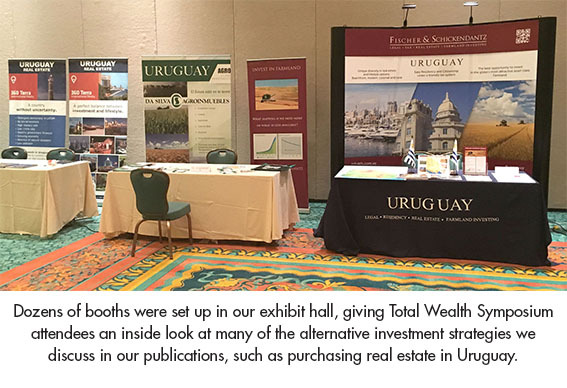 So, when we met again this year for our annual Total Wealth Symposium, we did it in the sunny Bahamas and we flew in 30 experts from around the globe, who revealed unique ways to prosper through America’s shaky future. 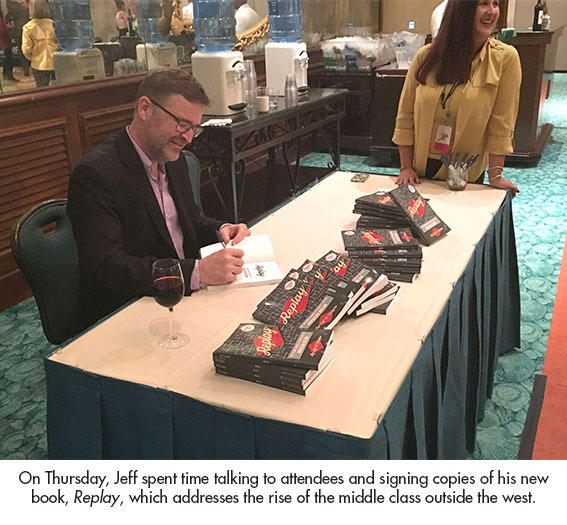 Jeff was one of the first presenters, and he covered how China’s devaluation of its currency is an ideal opportunity for investors, despite what the media would have you believe. He also hosted a workshop on Saturday about making triple-digit profits from seasonal-trend trading. Meanwhile, our asset protection editor Ted Bauman highlighted some troubling similarities between the Roman Empire right before its fall and present-day America. (There were far more than I’m comfortable with.) He also discussed his five keys to personal sovereignty and the main steps for protecting your assets. It was a crazy busy week full of great information. 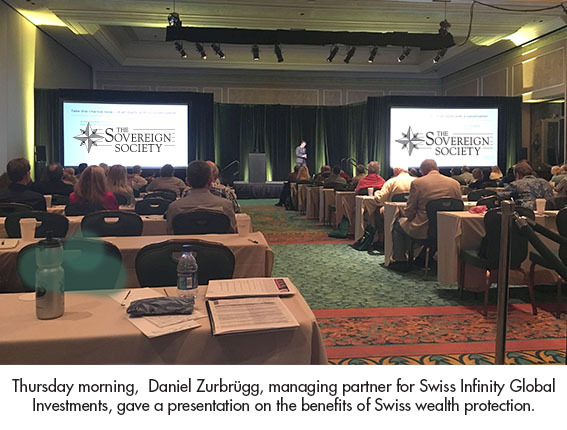 Other speakers took to the stage to discuss everything from European private banking, to gold’s next rally, to steps for fighting FATCA. But if you weren’t able to make it to The Bahamas, or if you missed a workshop you were hoping to catch, no need to worry. You can still catch every presentation, and every accompanying PowerPoint, with our Defense Kit. But I recommend ordering it now before the offer ends on Tuesday. To learn more about it, just click here. For those of you who were able to make it, our editors said they had a great time meeting all of you over there, and they’d love to hear about your experience. So please drop us a note with your thoughts at sovereigninvestor@sovereignsociety.com. Before I leave you for the day, I want to give you a quick inside look at the conference. I asked our on-the-ground reporter, Jocelynn Smith, to send me photos whenever she could so I could share a few snapshots with you. Here are some of them. Enjoy! Well, that’s all for this week. I’ll be back to you next Sunday with your regular Sovereign Digest dispatch.